This review is on my favourite leave-in oil treatment. I have searched far and wide in the hair oil ranges, trying everything from Argan to Moroccan (essentially the same thing) and Almond to Macadamia. 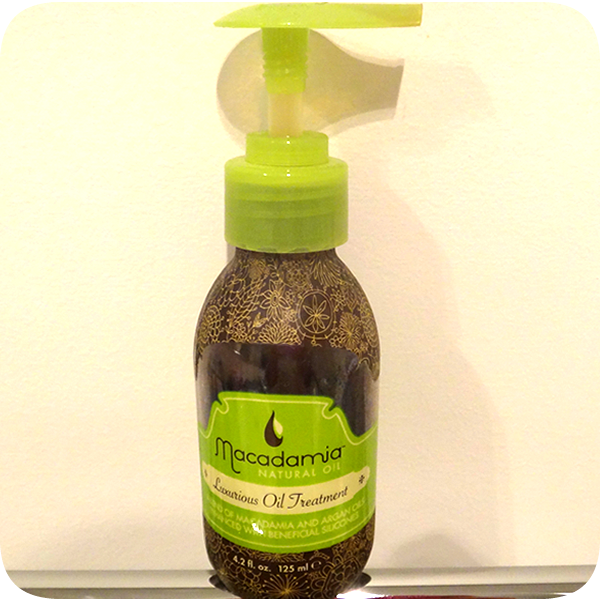 My journey for the best hair oil has ended as I have become very impressed (addicted) to the Macadamia Natural, Luxurious Oil Treatment. My poor hair is just generally unhealthy; partly from the constant heat damage but mainly because despite being naturally blonde, I slightly lighten my hair a bit more, resulting in bleach damage. I have found that this product has been a life saver when it comes to restoring the health of my hair, by far outdoing the other hair oils on the market.IN fact, the whole Macadamia range is amazing but for now lets focus just on the Oil Treatment. The packaging makes using this product so easy, convenient for a quick pump and rub through your hair once out of the shower. The consistency is a heavy oil but despite this formulation, it doesn't weigh down your hair. Suitable for both wet or dry hair, it never gives a greasy look makingit perfect for styling or finishing. The results are incredible! I can actually tell if I forget to put it in just one night by how my hair feels the next day (needless to say, I try not to forget). It makes my hair so soft and manageable as well as giving it a healthy shine. I even feel like it makes my hair healthier somehow. The only negative about this product is the price because it's extremely expensive (for me anyway). It costs between $48 and $55 (depending where you buy it from) for 125ml! To be fair, it does last quite a while, probably lasting about 2 months. Then again this means that you need 6 in a year which comes to nearly $300 just on your Oil Treatment and not even including shampoo or conditioner. It's a price I'm willing to pay because the quality is incredible and the results I have seen on my hair have been amazing. You can purchase this at Hairhouse Warehouse (for my Aussie readers) and I have found them available at a couple of salons. Apart from that, online is always your best bet for deals. If you choose to buy online then something that you have to keep in mind is that this Oil Treatment is packaged in a glass bottle so you risk receiving it shattered. I also haven't seen it anywhere too discounted, the cheapest I have found it for is $36 not including shipping. Thank you so much for reading, I hope this review was helpful.